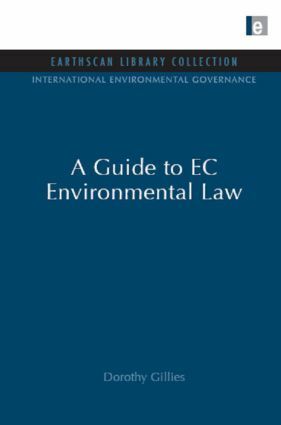 This volume provides a simple and practical explanation of the most important aspects of EC environment law. It introduces the EC and its institutions, explains the main environmental laws - air and noise, chemicals and industrial risks, nature conservation, waste and water - how these laws can be used, how EC law is made and how to influence its development. It includes useful case studies and suggestions for further reading to those wishing to carry out further research in a particular area. What do national courts have to do to make sure that EC environmental laws are applied? How are EC laws made?